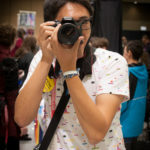 Do you make geeky art, books, cosmetics, plushies, clothing, jewelry, or accessories? Are you hoping to get the word out about your organization or community? 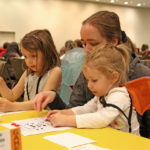 GeekGirlCon is a great way to get your creations or information into the hands of interested geeks. 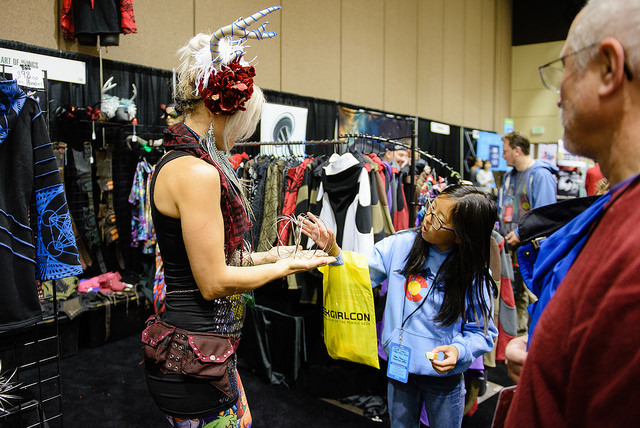 Submit an exhibitor application to reserve your spot on the GeekGirlCon floor. Source: GeekGirlCon Flickr. Description: A vendor shows a GGC attendee one of her products. Have an idea for a panel, workshop, performance, or event? Want to be a moderator, panelist, or table-top game host? 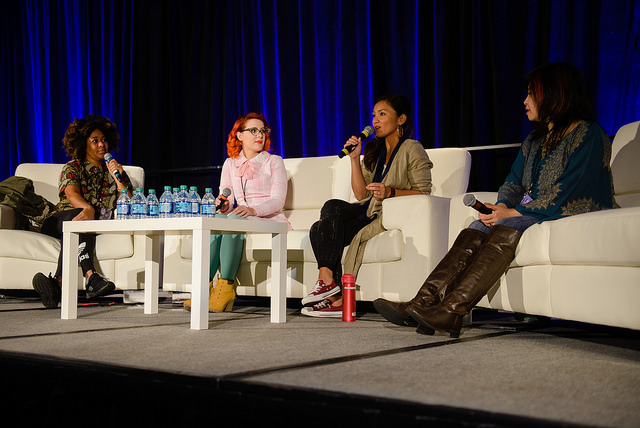 Help shape GeekGirlCon ‘18 with your ideas and expertise. Fill out a programming submission to be part of the action. Source: GeekGirlCon Flickr. Description: Panelists from the GGC’16 Magic, Music, & Friendship: Steven Universe panel speak to the audience while sitting on white couches onstage. Source: Giphy. Description: Ann Perkins and Leslie Knope from Parks and Rec dance excitedly together.